We have lots of music education policy news to share with you today. Yesterday, the United States Senate passed S.1177, the Every Student Succeeds Act. The Senate’s passage comes after the House passage just days ago. What does this all mean? First of all, it means a new version of The Elementary and Secondary Education Act has been signed into law by the President. 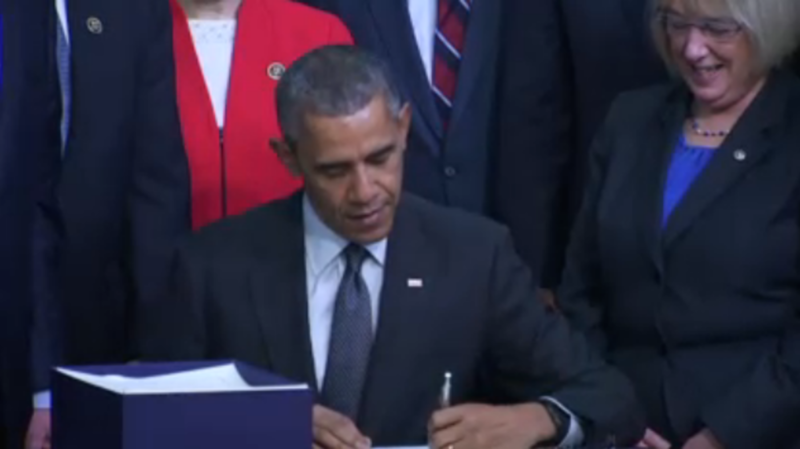 (View the video of President Obama signing the bill into law.) During today’s signing of the law, President Obama referred to this bipartisan piece of legislation as a “Christmas Miracle.” What it also means is the era of No Child Left Behind will officially be behind us and we’ll all have to learn a new acronym – ESSA. President Barack Obama signs the Every Student Succeeds Act into law with Senator Patty Murray at his side. 1- Protect Students’ Class Time: Students struggling in other academic areas will be protected from being pulled from music and arts courses in favor of any remedial education. The bill emphasizes the importance of classroom time within well-rounded courses which will only help to ensure student are provided equal and meaningful learning opportunities in all subject areas. 2- Federal Grant Opportunities: There are instances in the bill where “music” and “arts” are listed as appropriate use of formula grants. In addition, since music is listed as a well-rounded subject, the opening is there for other federal dollars available for all well-rounded subject areas. This legislation shows a shift from the narrow focus on reading and math we know all too well from No Child Left Behind. It is important to remember that our advocacy work at the state and local level will only move to a new level after the president signs this legislation into law. The implementation of federal legislation into the work of the state and local school districts will continue to require advocacy work from all of us. Please visit NAfME’s website for a complete analysis: http://www.nafme.org/wp-content/files/2015/11/NAfME-ESSA-Comprehensive-Analysis-2015.pdf. A resolution has been introduced in the Pennsylvania House recognizing the importance of the Arts in education. A Resolution supporting the educational philosophy that involves ” putting the A (for Art) in STEM” to equal “STEAM,” which recognizes the importance of Art in Science, Technology, Engineering and Mathematics (STEM) education for the benefit of students in this Commonwealth. The bill has been presented and sponsored by Rep. Brandon Neuman and several co-sponsors. The bill now moves to the House Education Committee and then to the full House for consideration. 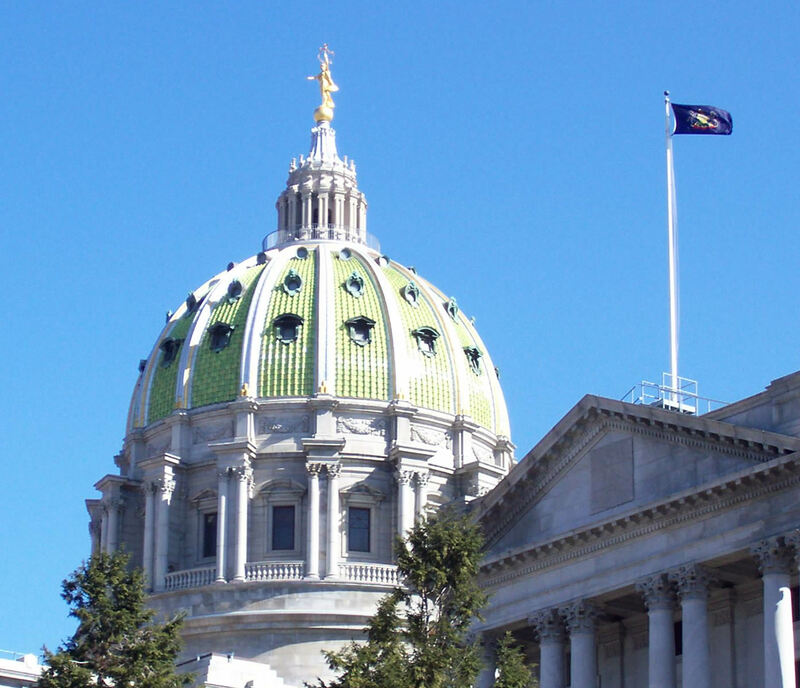 We encourage you to find your member of the House (not Senate – House only) (http://www.legis.state.pa.us/cfdocs/legis/home/findyourlegislator/) and express your support for this resolution. Resolutions like this are valuable in our public policy work as we move forward. Sometimes they say no news is good news. Well, that’s not the case as we continue to report that the state has not passed a budget – now over 150 days past the constitutionally mandated deadline. In the past week or so, it seemed that we were close to an agreement that would provide at least a $350 million increase in education funding. While many of the specific details were unavailable, the framework was said the include new sales taxes on items and services that were not previously taxed. However, despite the Governor, House Republican and Democratic leadership, and Senate Republican and Democratic leadership agreeing to a framework and the full Senate passing the agreement, House Republicans do not agree with the spending plan and passed their own plan which does not have the Senate or the Governor’s support. Details of the framework also included a split of how money would be distributed to school districts. Some money would be distributed under the current funding formula while another portion would be distributed using the new formula that came out of the bipartisan Basic Education Funding Commission. It’s fair to say that we’re not back to the drawing board and we’re closer than we have been but a finalized budget doesn’t look like it’s going to happen in the coming days. Perhaps it’s possible in the coming weeks though. Many school districts are taking out loans to continue to keep the doors open and some are now considering an extended holiday break to curtail costs. At this point, we continue to monitor the budget situation and will inform you if there is any call to action necessary.